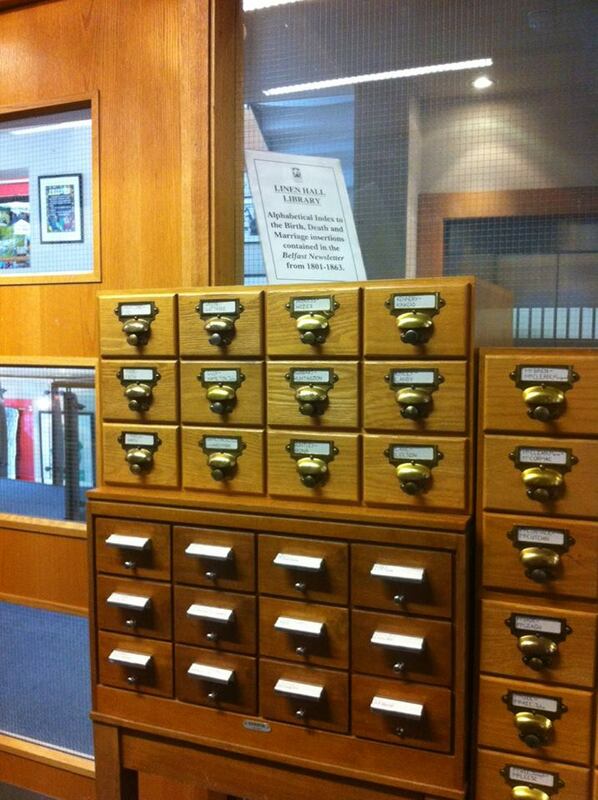 Hoping to find out more about Belfast; Shannon, Abigail and I, went to City Hall where they have/had an exhibition. We went to the Visit Belfast shop but they didn’t really have any facts, but pointed us to the Linen Hall library, where we found death records, although they weren’t relevant it was interesting. Those in bold are the one’s that were specific to us and the strikethrough ones are things that we did manage to do. Daniels, J. (2009). Animation Rigs: Juicebox. Available: http://artofjoe.blogspot.co.uk/search/label/Rigs. Last accessed 16th Feb 2015. Daniels, J. (2013). jd FlourSack 1.0.0. Available: http://www.creativecrash.com/downloads/59652/download_page. Last accessed 16th Feb 2015. Conor was to create the presentation but was unable to for whatever reason, so Aidan ended up creating it and placing more information on the slides than I would have preferred, just to give Conor something to fall back on. When we were rehearsing the presentation it became clear that Conor hadn’t learnt the speaker’s notes overly well and was having trouble recalling the necessary information. I had read over the presentation a few times and gave it a go, and it was easily possible to complete the presentation in under 6 minutes, it was simply a matter of knowing what was on the slide and then being ale to explain it. Conor did improve as we practiced and seemed to be more comfortable with it when we left. Their is great conspiracy surrounding the sinking of the Titanic. Some even incorporate urban legend to the ships sinking such as with the the curse of the mummy of the Priestess Ammon-Ra.The mummy was reportedly on board the ship concealed under the owner, journalist William Stead’s car as he believed they would not want the mummy on the ship. Some believed that the Titanic was actually hit by a torpedo from a Norwegian submarine so that they could collect on the insurance policy. However, this has no evidence. We decided to make one of the conspiracies we have mentioned earlier into a sort of reality in the movie, and that is the theory is that the Titanic’s sinking was an insurance scam. Mr Ismay and Mr Thomas Andrews are in cahoots with each other in the created narrative, working together to help sink the ship. This has been going on since the making of the ship, as Mr Andrews deliberately makes the rudder too small to steer the ship. However in the end he breaks down at what he has done, killing so many. he never intended for all that to happen as he intended for their to be enough life boats. Mr Ismay ensures thats the ship will be going too fast to manoeuvre around any obstacle in the way by convincing Captain Smith to light the last four boilers to pick up speed. He has a cover story as to why already in place so he would not be found out. Captain Smith has a brain (undiagnosed) tumour which leads to him having severe headaches, nausea and impaired vision, all of which reduces his ability to safely Captain the ship and his judgement too. Smith is hoping to retire at the end of the voyage, but the fact that the last ship he captained- the Olympic- had several collisions and caused White Star Line to be sued by the Navy is playing on his mind, also, he is reading Wreck of the Titan in his free time and the similarities between the fictional Titan and the very really Titanic is haunting, and there is also the pressure he is facing from Bruce to make it a voyage never to forget. At the end he goes down with the ship, as is the maritime tradition, with the ship and passengers being his responsibility. For Lovejoy’s narrative we decided he is only really trying to protect Cal for his own self gain. During his time off-screen he reflects upon his time as a police officer, and a disturbing homicide case he worked, where the husband killed his unfaithful wife. By removing Jack, he aims to placate Cal and prevent him from snapping, which would reflect poorly on him as he would not have been able to fulfil his duty of protecting the man- even if it was from himself. Cal from the beginning comes across as very dominant but in his off screen narrative we see just how dominant he can be. Even though he claims to love Rose, this doesn’t stop him from sleeping with other women on the ship, sexualising his character was inspired by the Christian Grey from the well loved book, now feature length film 50 Shades of Grey, but only in that he likes to be dominant. For combining all of these characters narratives together we decided to use a schematic flow chart. This helps show where the characters pass by each other, when they are on and off screen. Each character’s off screen narrative is highlighted by a single colour so we can tell them apart. We have also linked them in between where they meet on screen so we could see who is together at all times, and who we had to add a narrative to so their story wouldn’t just stop until the next scene, which ultimately made it easier for us. (If they want to see schematic click link and zoom in once). We have looked at different artefacts from the actual ship, such as pottery, the lifeboats, life jackets, and have further researched this to find other artistic interpretations such as Mary O’Malley’s pottery, where she has infused bits of broken pottery with barnacles and such to create the illusion that it has been underwater for a number of years. We also looked into the actual iceberg itself and how ice melted so we could look at the icebergs journey across the Atlantic. 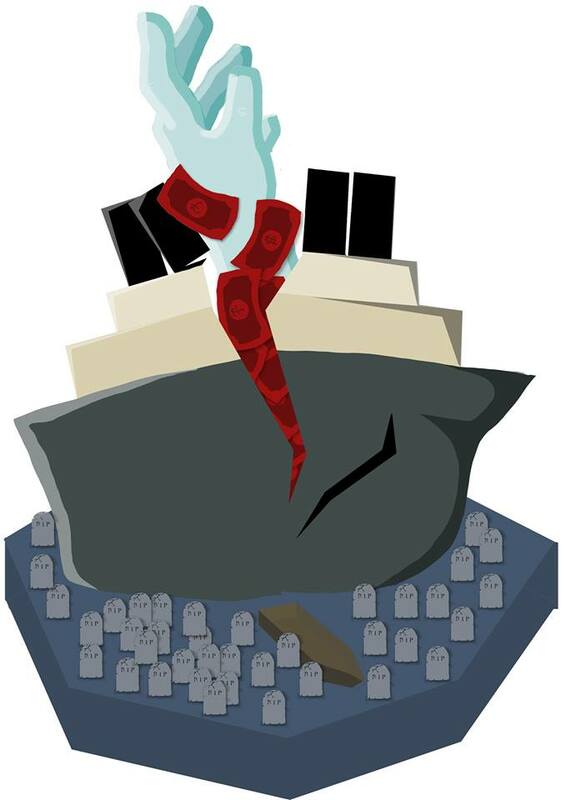 Examples of our initial ideation were creating the sinking scene of the titanic in sound so that the audience could experience the chaos and panic of the sinking, or creating an animatic of a secondary characters narrative. Here we have experimented with a small titanic model that one of our team members created before the project. We shone a light from one side so that it would appear as moonlight and added in the lights of the ship, onto the ship and in the reflection in the “water”. We have looked at the actual icebergs story; where it’s expected trajectory was to etc… perhaps even to make a character out of it. So we decided to do a time lapse of an iceberg to see its behaviour as it melts as a reference incase we were going to stick to using it as an animation artefact. The inspiration for creating this steel imitation piece came from the image above, an example of a nameplate artefact that was retrieved from one of the Titanic’s lifeboats, but with a goal of making it look unrestored and aged. The making of this piece involved some wood cutting and the metal was cut out with a grinder. The lettering was done simply with a stencil we made so it could be drawn onto the metal easily. Rose is handcuffed to cal and cannot break away as she is part of that class. Jack reaches for her but they do not touch because of the class division. The image of the baby’s face represents the nightmare that actually happened instead of the “dream”, as the image of a child in this way is haunting. 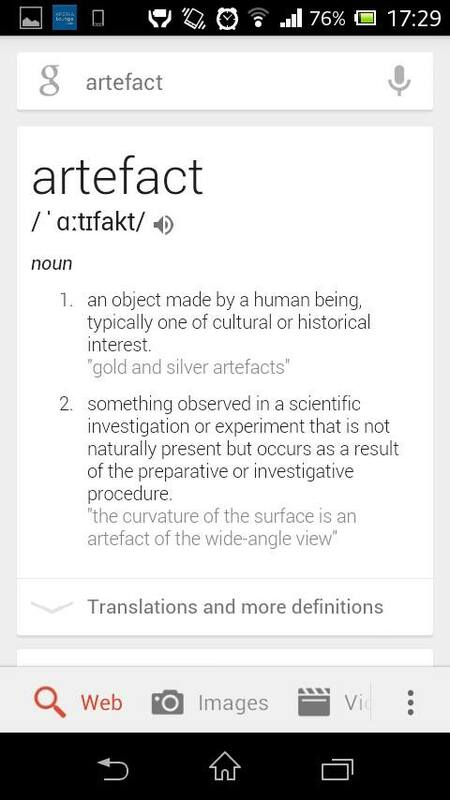 First of all, I wanted to know what an artefact was exactly. After that, I came up this quick sketch of a possible sculpture we could make that would symbolise a lot of the events on the Titanic. Obviously you have graves for all the dead, the ship breaking apart showing money soaked in blood as the class divides meant that a lot of people perished due to their lack of wealth (we saw in the film that the steerage passengers were locked in), and the frozen hand reaching out which could either be used to represent Jack and Rose reaching across the class divides to each other, or a hand reaching out to be saved. Conor did this pretty interesting piece which messes with my head a bit. Make a miniature iceberg, put it in a tank overnight and record what happens (i.e) how it turns, floats and shrinks. Make a life vest with sponge and cloth. Eventually we decided to make this lifeboat sign that Conor had found, and this was the end result. Then when we were rehearsing the presentation with Conor, Aidan and I didn’t really feel it was enough, so whilst Conor was going over the presentation with Aidan again, I sketched out a few ideas for a painting. Afterwards, we picked out on of the drawings to do and Conor, Aidan and I had Tasha take a picture for reference. I then drew an outline of the hands for Aidan to paint over. 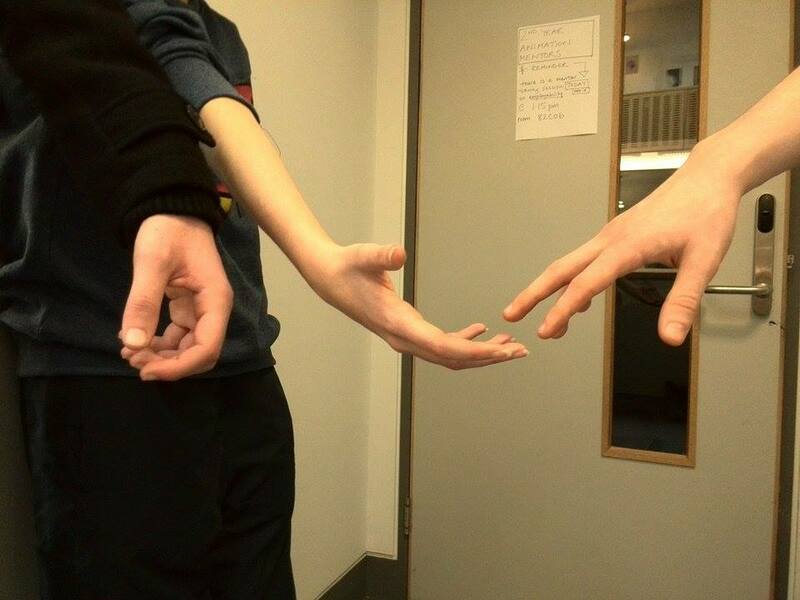 This was the final image. I added the text in Photoshop but unfortunately, Aidan didn’t have time to actually paint the text onto the painting. So the idea was to then pair the two pieces together, and the lifeboat sign would then border the painting at the bottom. 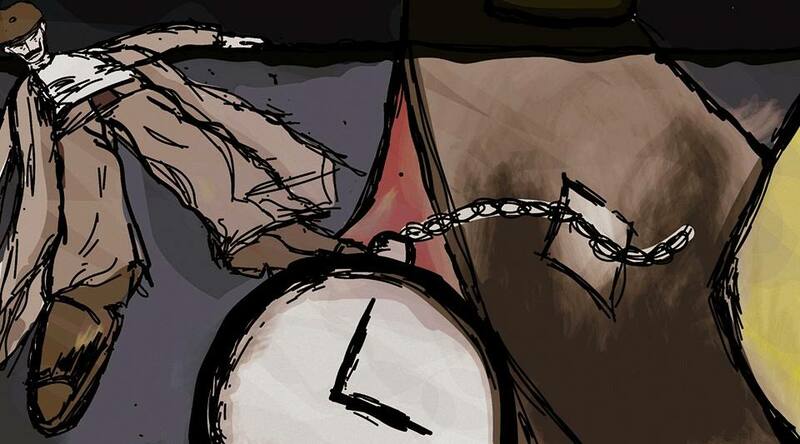 The image itself was to show how Rose was chained to a future she didn’t want and was trying to reach out to Jack. 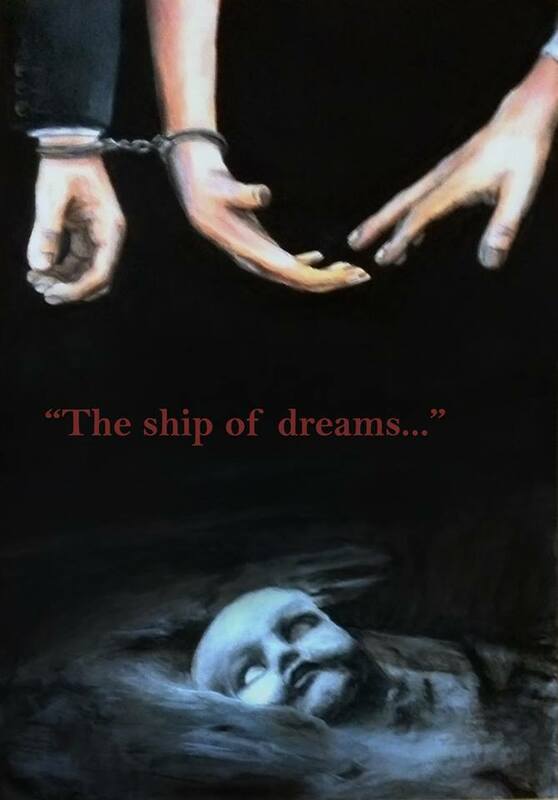 It intends to highlight the irony of the statement “The ship of dreams” as in reality it was much more the “the ship of nightmares”.